Choosing a WordPress theme for your website is as important as choosing a hosting and thus, you need to dedicate some time to understand what you need and make your final choice. Nevertheless, a huge number of brochures, as well as from the WordPress blog themes catalog, and from third-party sites, complicates the process of choosing the best one. Therefore, selecting the right WordPress theme can be very time-consuming. However, we offer you to get acquainted with the best options. We selected a variety of WordPress website designs with different functionality, so on our list, you can find WordPress templates suitable for any sphere including e-commerce, news, business, and photography. You can also find more helpful hints if that is what you were seeking. 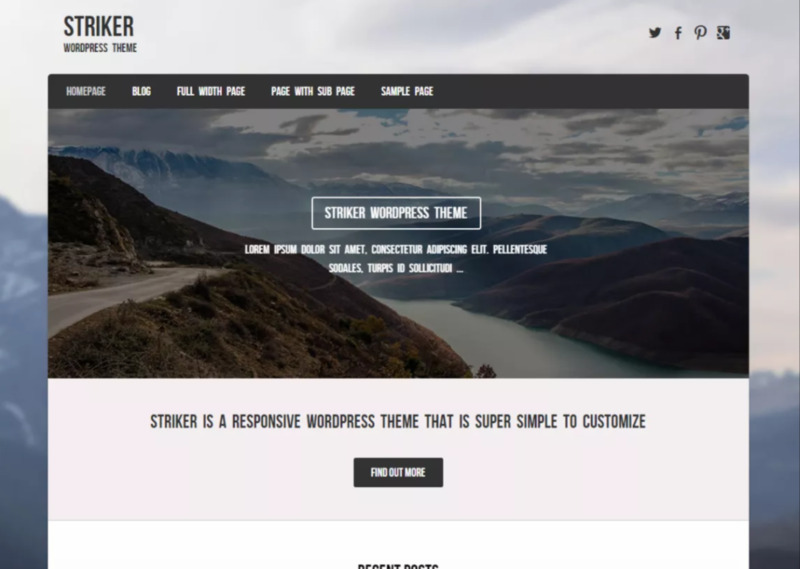 In this article, we will discuss the importance of choosing the appropriate theme and look at the best new options, so if you were asking yourself about what are the best WordPress themes of 2018, we’ll help you find out that. Let’s start! Generally, a theme is a collection of files that are responsible for the appearance of your site. Without having a theme, your site will be empty, looking like a skeleton – it will contain the main components, like your content and functionality, but it will not be wrapped around the theme that is responsible for its appearance. We are looking for stability and safety in 2018, so it will be a good point to keep that in mind while selecting a WordPress design. What else should you be looking for? 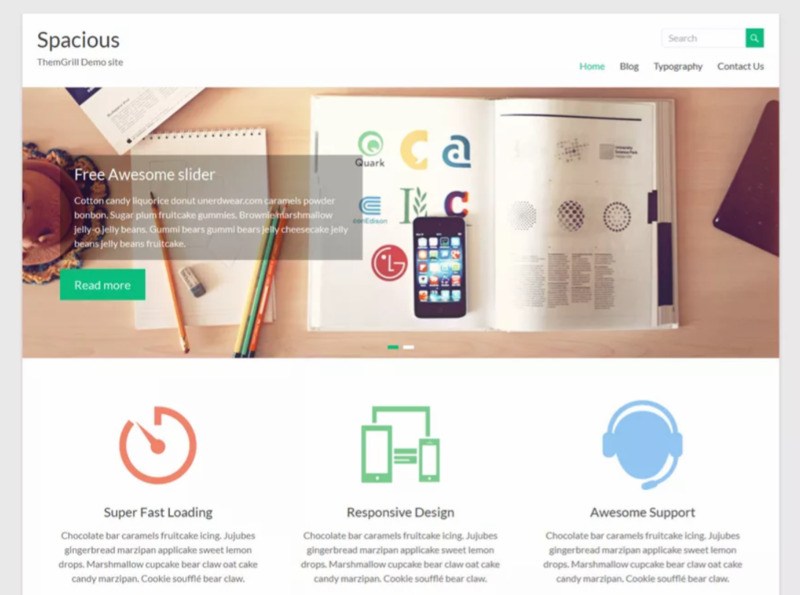 We will provide you with the most effective pieces of advice for choosing appropriate WordPress website templates and try to form the list of 5 top WordPress themes of 2018. Key features and functionality – pay attention to a set of key properties and functions of the site, which are necessary for you. For example, e-commerce sites need a shopping cart feature. For the business site, it will be quite useful if the chosen option contains a powerful landing page template, etc. User reviews and ratings. Feedback from former and current users can give you useful information about each design, including its advantages and disadvantages. Do not take the reviews as the ultimate truth, but as information that will help you as much as possible in making a decision. Support from developers and regular updates. Lack of proper support can lead to the fact that it will become obsolete. Choosing a design with regular updates and developer support is necessary if you are going to develop a different kind of integration of your site. To make the search even easier, we recommend first to determine the functionality and important properties of your site, and only then pay attention to the other two points (reviews/ratings and support/updates). This should help you out a bit. In according with the list of criteria described above, the three templates we want to present to your attention represent a variety of functions and characteristics. In addition, they all have a rating of at least 4 stars out of 5 and have been updated in the last six months, which means that this list can be a good place to start your searches. 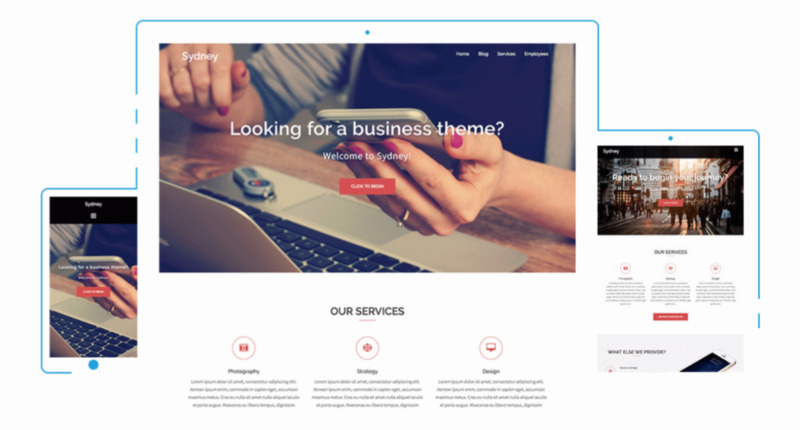 For freelancers, agencies, and companies looking for a business-focused and user-friendly theme, Sydney is a perfect choice. Full-screen slider, fixed navigation, logo download, and many more settings will make the appearance of your website look professional. In addition, it gives you the access to all Google fonts. The features of full control over layout options and color solutions also gives you a lot of space for creativity and helps create a design that matches your specific brand. Additional features include mobile compatibility, the integration of social networking icons, and the ability to translate the content into different languages. A clear and minimalist layout can make a significant impression on site visitors and potential customers. With premium options access, Spacious can easily be used to create a professional website for businesses, agencies, freelancers, and other purposes. This is a very versatile theme. It offers ready-made page layouts and 13 customizable areas for widgets. In addition, you can use the customizer to add a brand logo, include links to social networks, and even personalize the slider on the main page. Striker offers a clear design, which is ready-made or customized at your discretion. Settings allow you to add your own logo, title, background, and social networking icons, and you can also include the color scheme of your brand and add content to specific areas. The built-in slider decorates the top of the page. 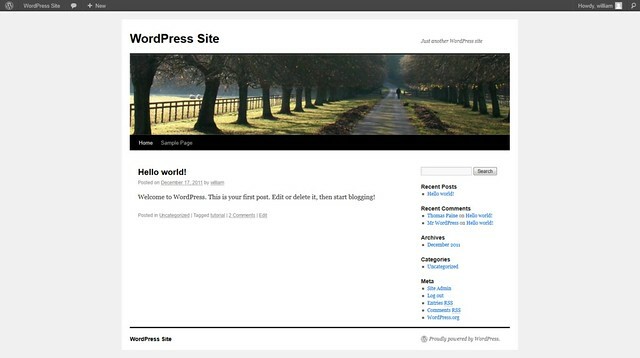 The flexibility of this theme for WordPress means that it looks great on all devices. Besides, if you are a beginner, you can also find it quite useful to go through a detailed guideline offered for this theme. These three themes are the best in 2018 (as we believe). But don’t forget that there’re many other themes, such as Virtue, Shapely, Customizr, iFeature, Optimizer, Moesia, Flash, and Shopera can also be a good pick for us in 2018! Paul Calderon is a writer for over 5 years. He helps companies like edubirdie.com to create good qualitative texts and decor their social media pages properly.